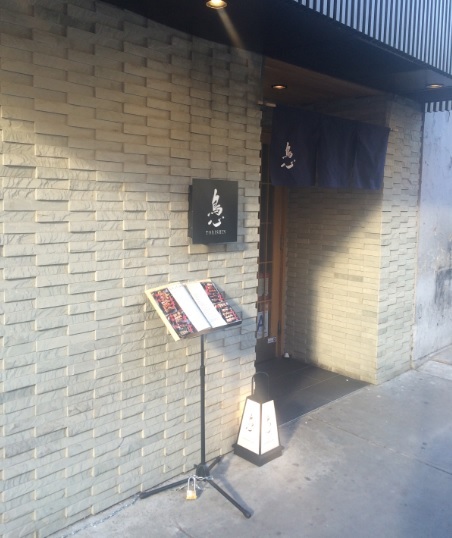 On the day of my visit, in May 2016, Torishin was “ages away” from what most online reviews seem to rave about: at the entrance, a middle age man (perhaps in his late 40ish) was standing behind the bar completely ignoring both my wife and myself while we were seating at his bar for at least 30 minutes . You would think a yakuza waiting for a secret code in order for him to acknowledge your presence. Then we moved to the dining area and sat at the bar counter only to be served by a waiter (medium size skinny man) with an aggressive and confrontational demeanor coming straight from a ghetto. I mean, YES…the food is Ok, but the food is even better anywhere else in New York anyways , the rest of the staff (especially the waitresses) offered a stellar service, but that was marred by two men who do not deserve to work at a Michelin restaurant. 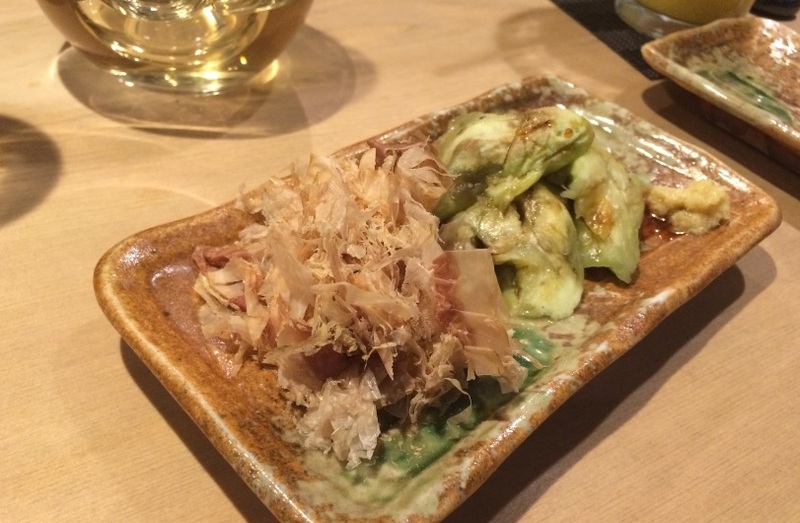 If I wanted to meet a yakuza and a little ‘bum’ from a triad, I would go somewhere else..NOT to a Michelin star restaurant. Offering extra food items that were not ordered by the client and telling the client that it is “on the house ” BUT making him pay for that ….that was yet another act of the “ghetto” mentality that, somehow, found its way at Torishin on the evening of our visit. Again and again..NOT what you should expect from a respectable restaurant. 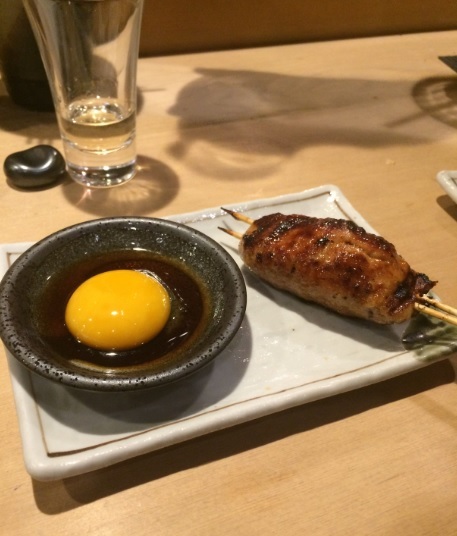 Torishin is a well known yakitori of NYC with a michelin star. 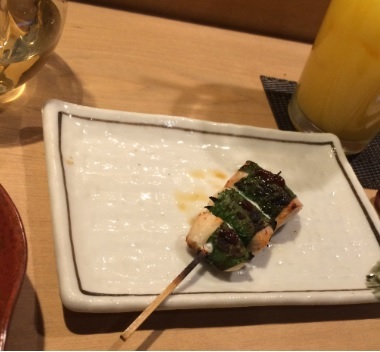 A Michelin star for a restaurant that basically grills chicken … will unavoidably lead to unrealistic expectations, but michelin starred yakitoris are not something unheard of (in Japan, they do exist). Chicken wings (1st item from the left on the previous picture), looking like ribs at first glance, the flavor of the wings was enhanced by the fine taste of the grilled fat and a tasty crispy skin. 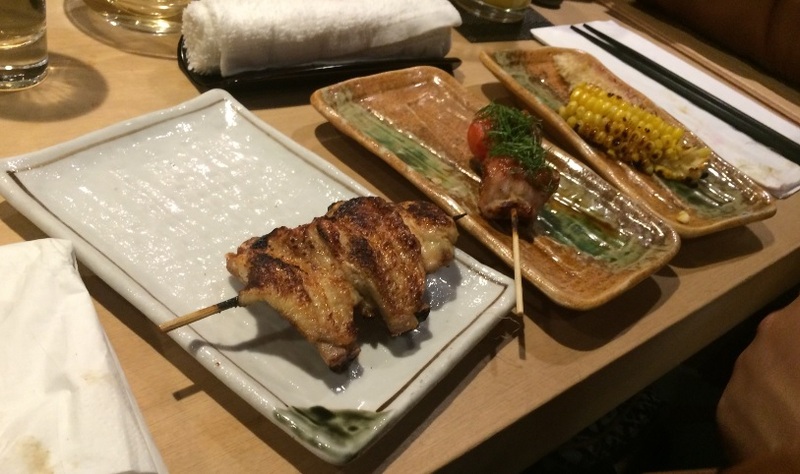 Grilled corn was a ridiculously small piece of corn, which although of good quality … had an inflated cost for the quantity served. Other pieces that I did order and that were Ok: chicken tenderloin, chicken thigh, tofu as well as pork belly. Bottom line: Torishin is not “special” enough to justify passing past any shortcoming. 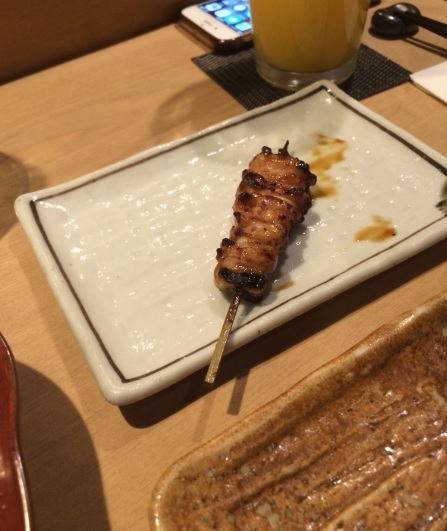 The Michelin star of torishin is not justified at all : In Japan, what torishin is offering would pass as standard yakitori food at any Okay yakitori. 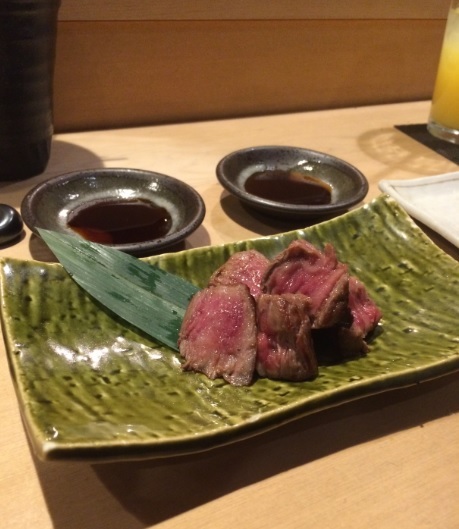 The michelin starred yakitoris of Japan are far superior to this. 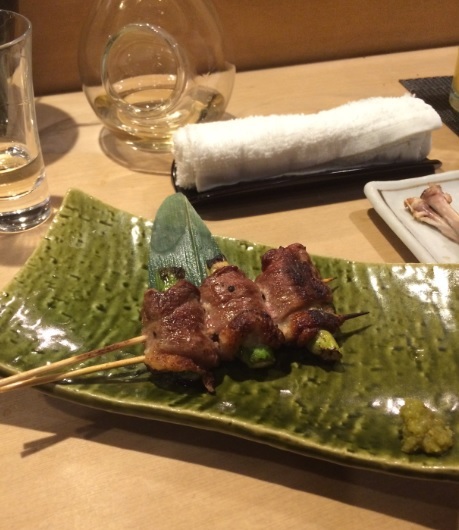 Sadly, torishin thinks that it is a true Michelin star, therefore it is more than happy to cash in on its ordinary grilled food ( you will pay through the nose for what is essentially some meat and veggies that are grilled).